With brutal attacks in last year across the globe—Brussels, Paris, Beirut, Egypt, Turkey—the Islamic State of Iraq and Syria (ISIS) has proved itself the greatest terrorist threat in the world today. They have conquered massive territories in Syria and Iraq in a bid to create a new Muslim caliphate under the strict dictates of Sharia law. 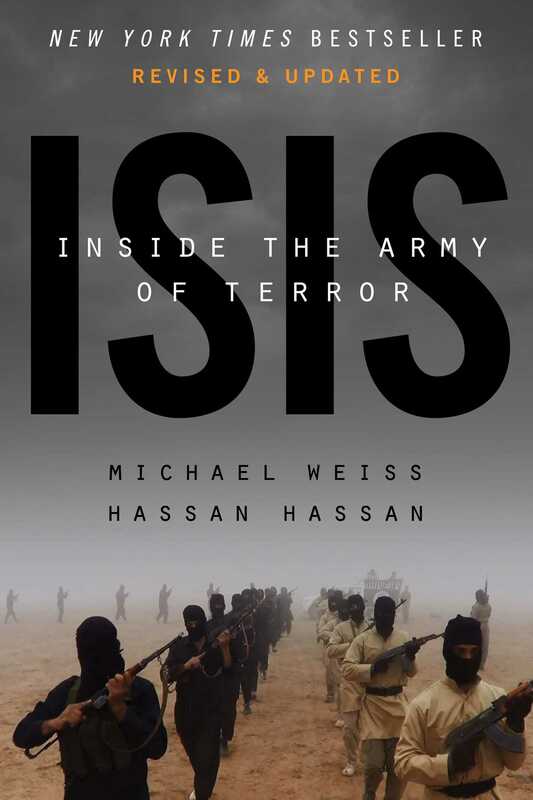 In this fully revised and updated edition of ISIS: Inside the Army of Terror, American journalist Michael Weiss and Syrian analyst Hassan Hassan explain how these violent extremists evolved from a nearly defeated Iraqi insurgent group into a jihadi army of international volunteers who, with slickly produced murder videos, are spreading violence and mayhem across the globe. Beginning with the early days of Abu Musab al-Zarqawi, the founder of ISIS’s first incarnation, Weiss and Hassan explain who the key players are—from their leader Abu Bakr al-Baghdadi to the former Saddam Baathists in their ranks—where they come from, how they have attracted both local and global support, and how they operate—from their social media strategy to their illicit oil revenues. As money and matériel continue to flow into the region to combat the ISIS’s spreading terror, other forces—Assad’s regime, Russian planes, Iranian Quds Forces, and other Shiite militias—are gaining power and using the fight against ISIS as a means to leverage their agenda in the region. Political and military maneuvering by the United States, Iraq, Iran, Syria, and Russia have fueled ISIS’s explosive expansion. In five new chapters, the authors delve further into the inner workings of the Army of Terror and what it is like to live under their ever-tightening rule. With invaluable and exclusive insider information, the authors explore the Islamic State’s enigmatic recruitment and training methods, the impact of their military successes and failures, and how they structure and empower home-grown cells worldwide to carry out their terror. Drawing on original interviews with former US military officials and current ISIS fighters—and brand-new interviews with a former ISIS spy, as well as Kurdish and Yazidi survivors of the ISIS’s assault on northern Iraq—the authors reveal the internecine struggles within the movement itself, as well as ISIS’s bloody hatred of Shiite Muslims, which is generating another sectarian war in the region. A new generation of terror has dawned in the world and to understand how to stop it, we must understand who they are. "Weiss and Hassan provide a detailed explanation of how the Islamic State 'manages savagery' on the ground . . . this account of the Islamic State in Iraq is a valuable summation and the most serious book-length study of the Islamic State to be published so far." "The first book to fully explain what ISIS is seeking and why they are such a threat to the world. An absolute must-read for anyone who wants to understand the risk we all face from radical Islam." "A . . . detailed and nuanced story." "Easily the best history I've read of the evolution of the terror group." "Weiss and Hassan have produced a detailed and readable book. Their informants include American and regional military officials and intelligence operatives, defected Syrian spies and diplomats, and – most fascinating of all – Syrians who work for Isis (these are divided into categories such as politickers, pragmatists, opportunists and fence-sitters). The authors provide useful insights into Isis governance – a combination of divide-and-rule, indoctrination and fear – and are well placed for the task. Hassan, an expert on tribal and jihadist dynamics, is from Syria’s east. Weiss reported from liberated al-Bab, outside Aleppo, before Isis took it over." "[A] superb piece of journalism, unsparing in its analysis of the folly of the Obama administration."